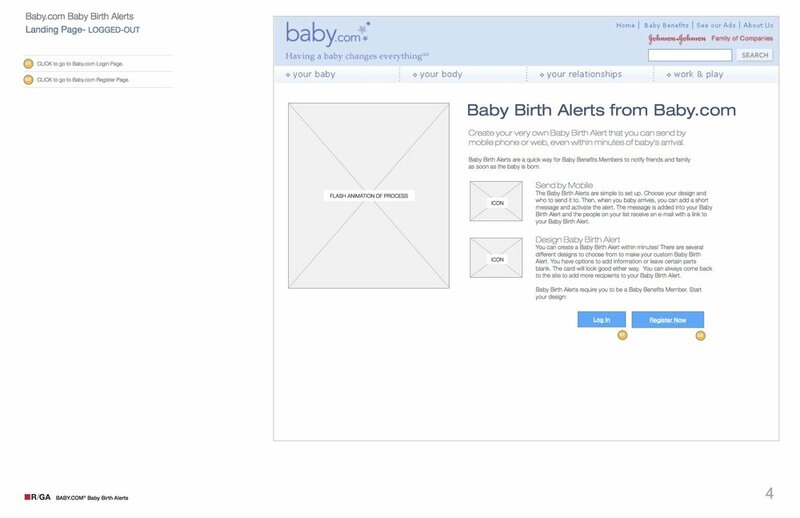 Allow moms-to-be to set up announcements ahead of time to their friends and family and then to trigger the announcements when the baby was born, along with a customized message. Provide a service to new parents that establishes the brand early on in their parenting journey. I created the interaction design documentation for both web and mobile functionality, overseeing the development of the project. I collaborated with the team to envision and produce a “first of its kind” tool implementing a relevant and easy-to-use mobile solution. 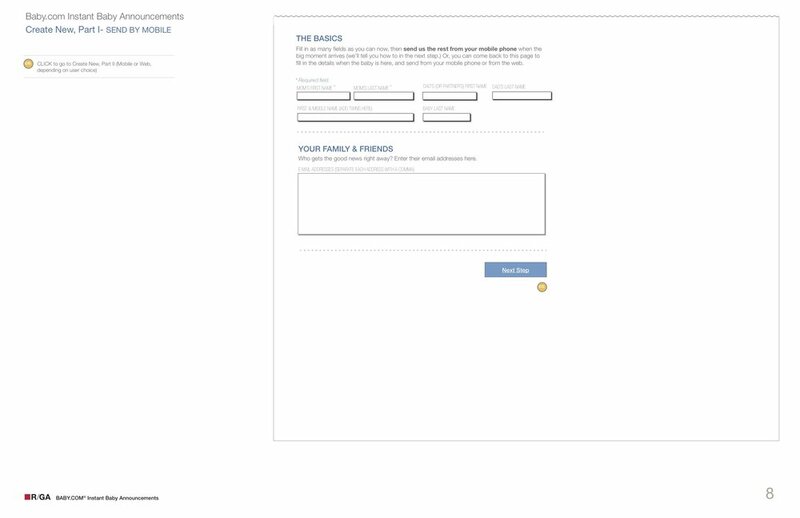 After the initial interaction design had been created, I performed user testing using HTML click through pages in order to validate design decisions. 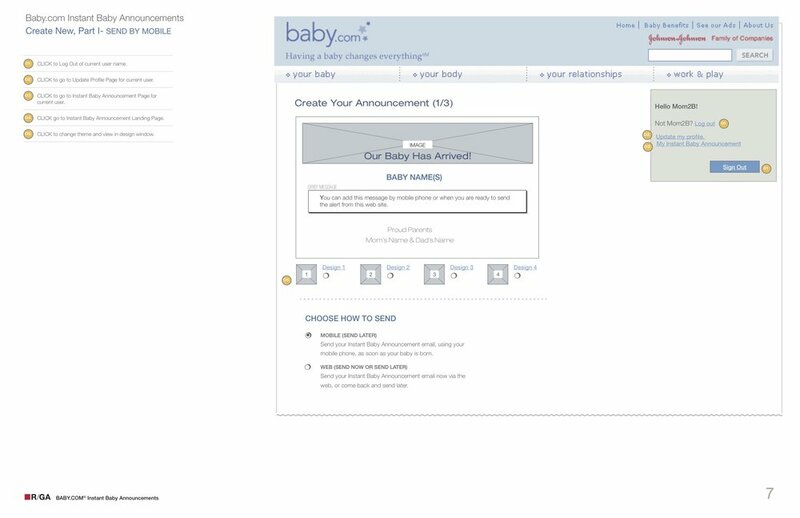 Overall participation resulted in a 94% completion rate with over 1000 mobile birth announcements in only four months.